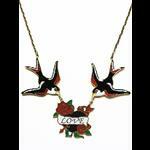 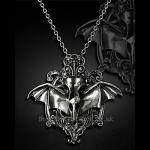 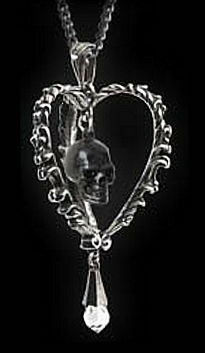 A stunning and very unusual necklace from Alchemy Gothic comprising of a three-dimensional tri heart made from solid pewter with a thorn effect. 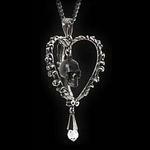 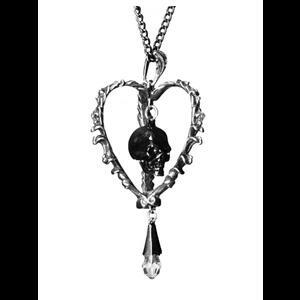 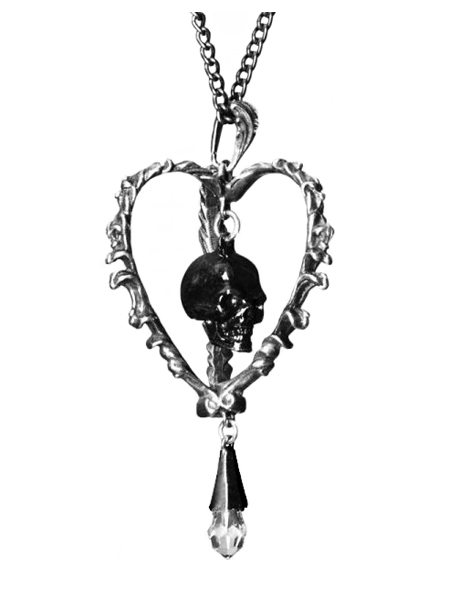 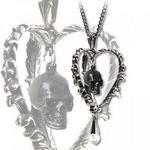 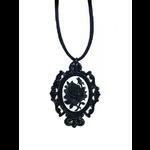 Hanging within the heart is a black carved stone skull and a teardrop clear Swarovski crystal hangs at the bottom point. 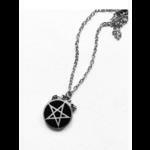 Comes on a very long gunmetal curb chain which can easily be replaced with a shorter chain of your choice.